Professors Cristina Cadavid and Damian Christian traveled to Oregon and Idaho, respectively, to observe the solar eclipse and present their research findings. Photo by Lee Choo. Professor of physics and astronomy Debi Prasad Choudhary, travelled to Casper, Wyo. to observe the eclipse. Photo by Lee Choo. Professor Wladimir Lyra, an exoplanet astronomer, astrobiologist and applied mathematician, traveled to Casper, Wyoming to observe the eclipse and give a talk at AstroCon 2017. Photo by Lee Choo. For the first time since 1979, a total eclipse of the sun was visible from the continental United States. Six CSUN professors from the Department of Physics and Astronomy traveled to the path of totality in late August to observe the highly anticipated solar eclipse. Faculty who participated in the event included Wladimir Lyra, Debi Prasad Choudhary, Damian Christian and Cristina Cadavid. The professors traveled to states like Wyoming, Idaho and Oregon. Each of these states had cities that were on a path of totality, or the 70-mile-wide cross-section of the U.S.
Lyra, an exoplanet astronomer, astrobiologist and applied mathematician, traveled to Casper, Wyo. to attend AstroCon 2017, a conference for astronomy amateurs and enthusiasts. While at the conference, Lyra set up a simple star spotter to view the eclipse. 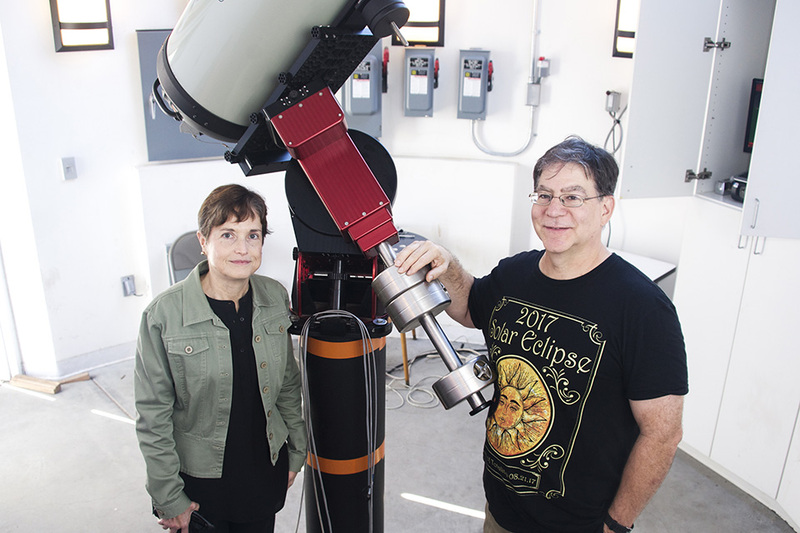 “The star spotter is usually used to see sun spots, but it’s really great to watch the sun wax and wane,” he said. He also gave a talk at the conference titled The Europa Clipper Mission, which was about the Jet Propulsion Lab’s mission to Europa, the ocean-bearing moon of Jupiter. The talk garnered the attention of the media and Lyra received an invitation to be interviewed on The Cosmic Perspective Radio, which airs on WPKN in Connecticut. The Daily News was also impressed with Lyra’s talk and featured a photo gallery on AstroCon. To see the story, please click here. 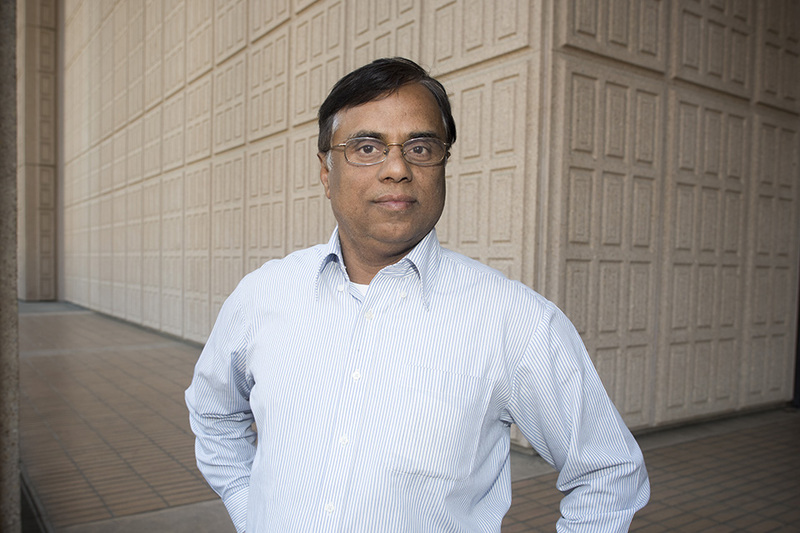 Debi Prasad Choudhary also was an attendee at AstroCon 2017, but his mission was to include CSUN students at the event. To this end, Choudhary brought one CSUN student with him on the trip. “I wanted students to get that knowledge and unique data,” he said. Potential students who work with Choudhary are involved in using the telescope to observe space. Choudhary said the student he worked with rehearsed watching the eclipse every day in the months leading up to the eclipse. Students interested in joining Choudhary in his research can email him at debiprasad.choudhary@csun.edu. 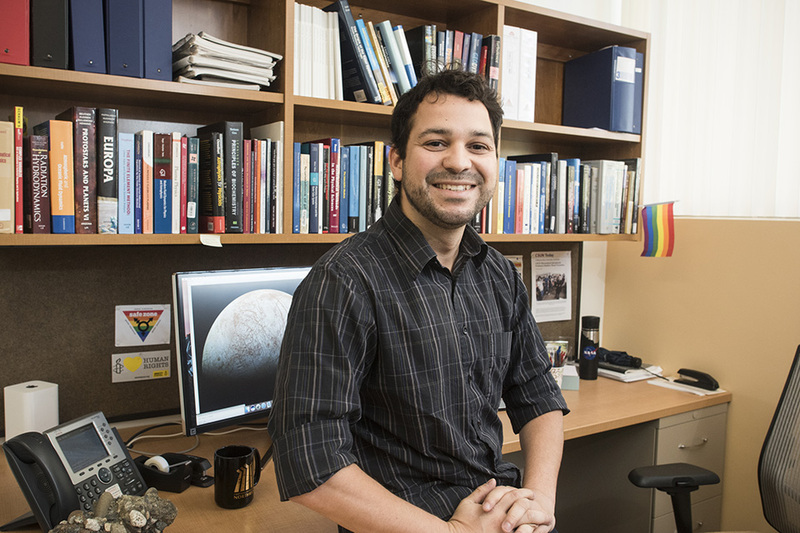 Faculty member Damian Christian is adept in stellar and solar astronomy. Christian and his team of researchers traveled by car to Sun Valley, Idaho and ventured almost 1,000 miles away from CSUN to snap the clearest and most precise images of the eclipse and the sun. That weekend, Christian also attended a meeting called High-Energy Astrophysics division, which assists and promotes the advancement of research and the dissemination of knowledge about high energy events, particles, quanta, relativistic gravitational fields, and related phenomena in the astrophysical universe. Cristina Cadavid traveled to the annual conference of the Solar Physics Division (SPD) of the American Astronomical Society (AAS) in Portland, Ore. to present the results of her research on solar physics. Since the purpose of the SPD is the advancement of the study of the sun and the coordination of such research with other branches of science, during the first day of the conference the SPD/AAS, together with the National Solar Observatories (NSO), organized a viewing of the total eclipse at the campus of Willamette University in Salem, about an hour south of Portland.